Our history of excellence is shown through each of the successful projects we have completed for our valued clients, many of which have garnered acclaim and awards throughout the industry. At National Restoration Systems, we are proud to continue this dedication to unrivaled quality in concrete construction with every project. 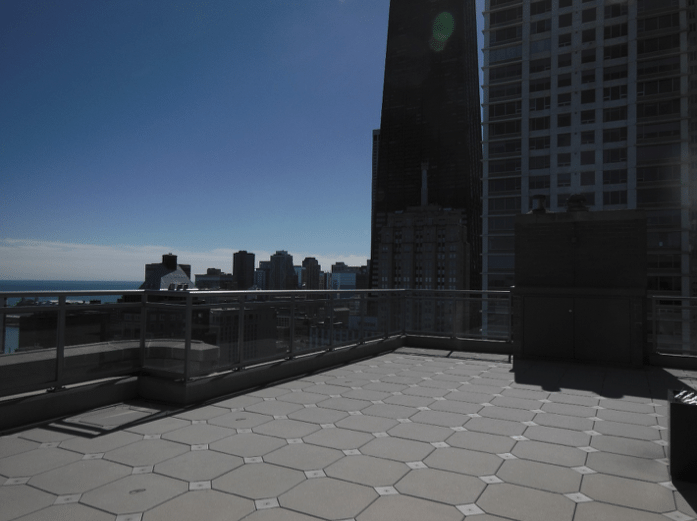 The roof sundecks, constructed circa 1966, are located at the north and south ends of a 39-story luxury condominium building. 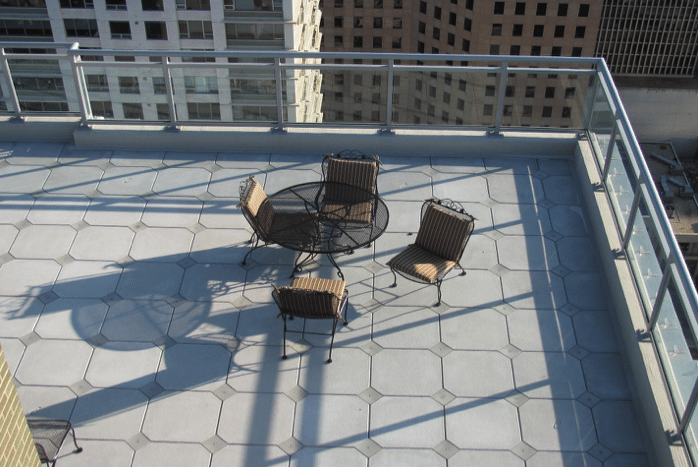 Typical plan dimensions of each sundeck are approximately 71 by 40 ft (21.6 by 12.2 m). Structural framing consists of flat-plate floor slabs supported by concrete columns. By 2005, the sundecks were besieged with problems associated with persistent widespread water infiltration into the interior, concrete slab deterioration, decaying wood decking, and severe corrosion of the original railings and outrigger rope descent systems. 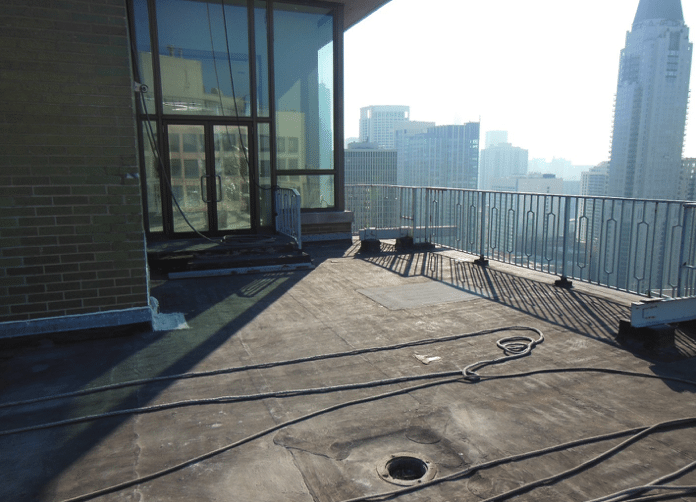 The building owner engaged consulting engineers to perform a comprehensive field investigation and materials test to determine the extent of deterioration of roofing, concrete slab, steel railing, and rope descent systems; evaluate the causes of leakage; and recommend appropriate steps for repair and maintenance. 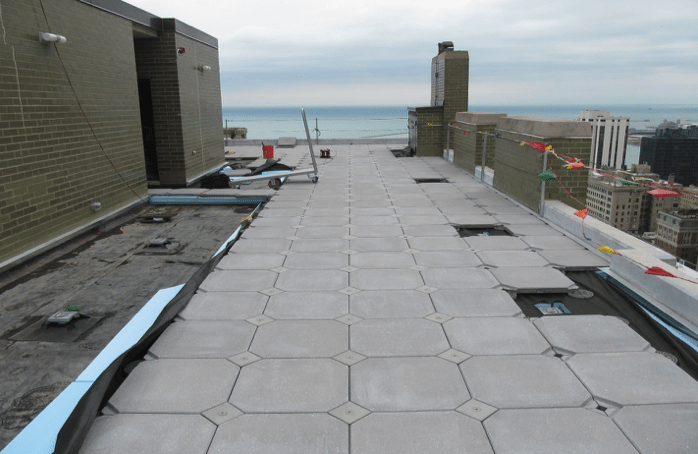 The results led engineers to recommend complete replacement of the roofing, decking, railing, and rope descent systems. 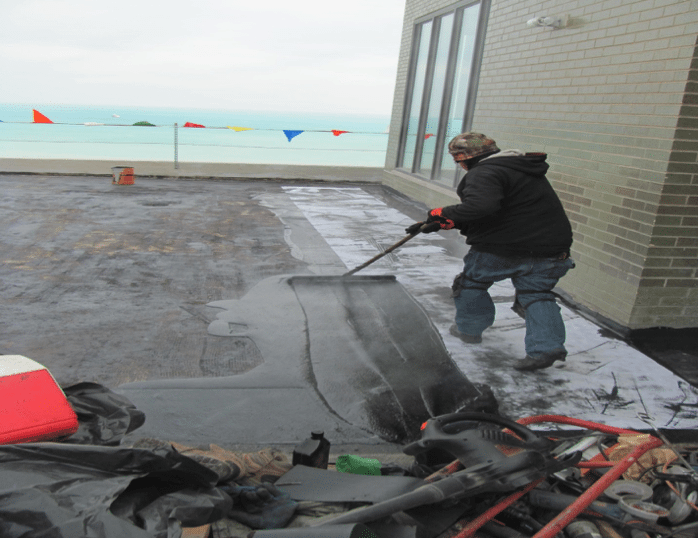 Due to the localized nature of roof slab deterioration, concrete patch repairs were recommended. 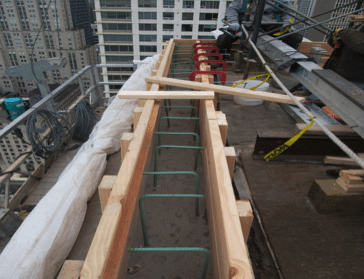 This work required extreme care in design, sequencing, and execution to access sundecks on the building roof via swing stages, maintain structural support during column strengthening repairs, and minimize disruption to the regular use of the building. Even so, the base bid work on this project was completed ahead of schedule and under budget. The durability and aesthetics of the sundecks are improved significantly. Garage located in the heart of downtown New Haven and bridges George Street. The garage remained fully functional throughout the project, including complete handicap access with comprehensive traffic control and signage. Work completed in phases to accommodate a smooth operation of the facility. 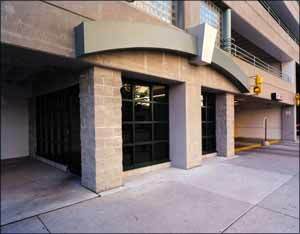 The restoration of the Temple Street parking garage, a very unique concrete structure, was an extremely challenging project. Paul Rudolph designed the Temple Street Garage. Reminiscent of the port of New Haven’s origins; his design combined flowing parabolic curved overhead and vertical concrete surfaces and a unique wooden shiplap texture to convey the stately feel of classic sailing ships. The New Haven Parking Authority opened this “state-of-the-art” structure in 1962. 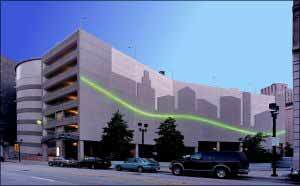 The ten story split-level multi-use parking facility was originally created as the core for a transformation of the downtown business district. Spanning George Street the structure incorporates 1280 parking spaces and tens of thousands of square feet of retail space. Nothing was spared in Temple Street’s design or construction. Although concrete deterioration had been periodically addressed, the repairs often did not maintain the look or feel of the original structure. The structural concrete repairs for this renovation were detailed incorporating the unique textures and curves of the original structure. Shoring and forms were designed and custom fabricated to match these surfaces. 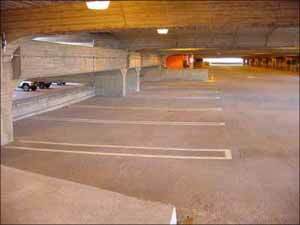 The deficiencies of past alterations were rectified with these extensive concrete repairs. 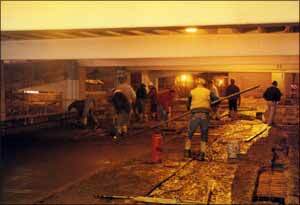 Hydrodemolition was used to prepare the supported levels of the garage for concrete repairs. 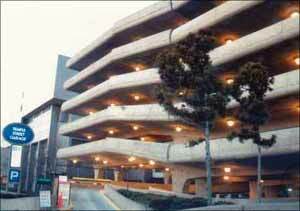 An opening was cut within the parking garage’s decks and a new elevator tower was constructed. Today the entire structure meets current standards including those of the Americans with Disabilities Act (ADA). The restoration was completed over a two-year period at a cost of over eight million dollars. Phases were limited to 200 spaces during the day and 500 at night, ensuring that the parking garage remained in service during the entire project. 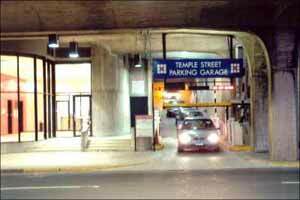 The completion of this renovation has once again made the Temple Street Garage the flagship of downtown New Haven. The renovation of Soldier Field Stadium was a massive undertaking. The design retained the historic façade, concrete walkways, and colonnades while grafting a modern stadium facility within its core. Demolition began the night of a Chicago Bears play-off game on January 19, 2002. A Monday night grand opening game between the Bears and their traditional nemesis the Green Bay Packers was scheduled for September 29, 2003. Liquidated damages of $4.5 million per game would be assessed to any contractor who was responsible for failing to reopen the stadium on time. 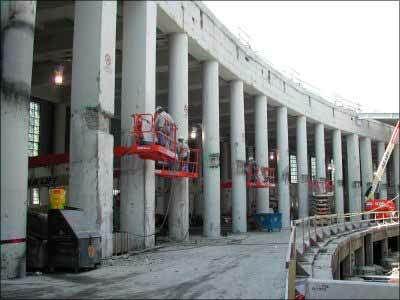 The concrete restoration of Soldier Field’s remaining cast-in-place concrete structure was scheduled to begin in March 2002 immediately following the demolition contractor as the original seating bowl was removed. The bowl demolition exposed concrete surfaces that had been hidden for 78 years. 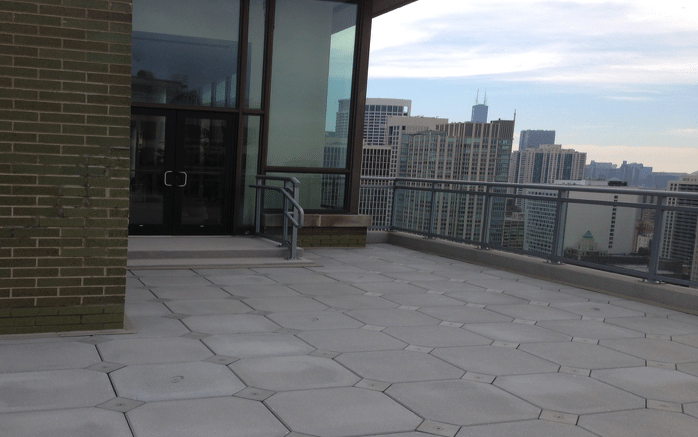 The City Building Commission of Chicago refused to issue a “Repair Permit” without an updated condition survey. All concrete surfaces within the stadium structure had to be sounded, and deteriorated areas were marked with paint, measured, identified by number, and entered on the plans. The permit was issued after a two month delay. The concrete restoration contractor was faced with a 300% quantity increase, an expanded scope, and a two-month delay with the same completion date. Additional crews and equipment were mobilized. Many critical zones and locations throughout the structure had to be repaired on second shifts and weekends due to worker congestion and safety concerns. Double shifts, seven days a week, were scheduled as necessary to complete the concrete repairs. 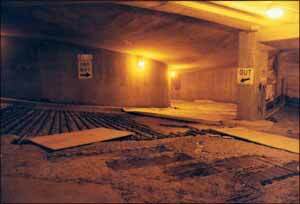 Over 60,000 square ft of concrete repairs were completed on time under extremely difficult conditions. Quality and safety were always maintained. The crew completed the project on time with a perfect safety record. Soldier Field Stadium reopened on time. 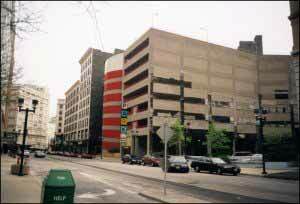 The 35 year-old Second and Plankinton parking garage is an important asset in the Milwaukee’s growing entertainment district. The city’s decision to restore it has resulted in a renewed parking resource that exceeded expectations. 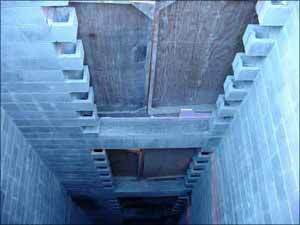 Structural modification to enhance safety and efficiency involved the repair of all deteriorated joists, walls, stairwells, delamination of the slabs and repairs to the concrete slabs and walls of the double-threaded helix. 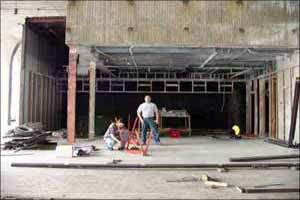 Construction joints and slabs were repaired and sealed, and minor repairs were made to the structure’s beams and columns. Hydrodemolition removed delaminated concrete and prepared the surface for an overlay on the cantilevered helix slabs, the pan joist slab system and on other selected concrete areas. 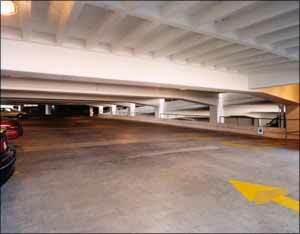 Preventative measures were developed to reduce deterioration, including varying the corrosion inhibiting and waterproofing strategies used throughout the garage. On the cantilevered helix slabs and the pan joist system, epoxy coated reinforcing bars and a microsilica concrete overlay were applied. The pan joist slab system on level 2 and 3 also received a traffic-bearing membrane coating. On the garage’s top two levels, the concrete was patched and a traffic-bearing membrane coating was applied. A detailed annual maintenance program was implemented. Architectural modifications to the garage were dramatic and complemented surrounding structures. The north façade features a cityscape with a neon band to create visual interest. The helix enclosure and railings were painted to soften the interior and compliment adjacent buildings. 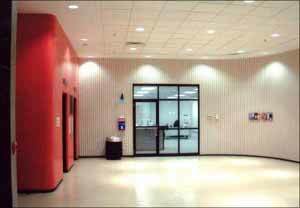 A brighter and more prominent lobby and offices will better serve patrons and staff. New signs and graphics were installed to enhance wayfinding. Improvement to the interior environment involved painting and lighting. The results of the restoration have more than exceeded the city’s goals. There is a waiting list to get into the structure, and the quality parking has attracted new businesses, which use the garage for parking.